Hiring Hoosiers is a new initiative from RTV6 that works to connect Hoosiers to employment opportunities, career development resources, training programs and educational paths. In our Hiring Hoosiers reports we are taking a closer look at barriers to employment and things that get in the way of people getting the jobs they need to support themselves and their families. For more information, visit HiringHoosiers.com. See new stories weekdays at 6 a.m. on RTV6! INDIANAPOLIS — A new Indianapolis startup is working to connect Hoosiers to in-demand careers in cybersecurity. According to the Cybersecurity Jobs Report from Cybersecurity Ventures, unfilled cybersecurity opportunities will reach 3.5 million by the year 2021. OpSec Cyber Security Institute is working to fill that gap and provide ordinary people with skills to work in this field. To help address the growing need, this new company is offering a variety of affordable courses in cybersecurity and human intelligence. The courses are hands-on and taught by certified experts in the field, inducing specialists in intelligence, cyberterrorism, counter-surveillance and cybersecurity. Jeremy Miller is the CEO of OpSec and knows the importance of protecting our data from his time serving in the military. 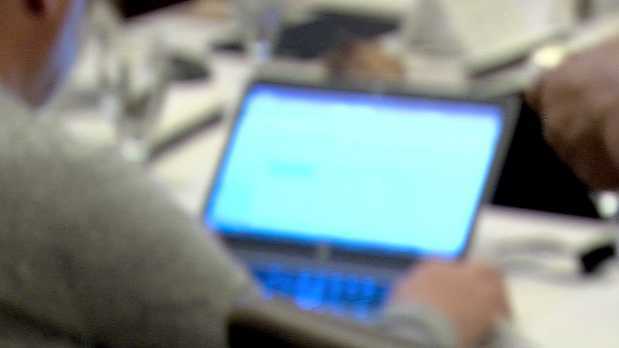 "There's a skills gap in the industry right now in cybersecurity and it's happening in the world being so interconnected, this job is not going to go away," Miller said. "It's going to do nothing more but get bigger." Almost everything we do and use on a daily basis uses technology and connects us, which also exposes people and businesses to hackers looking to gain information. "It's a crazy number. So many things are connected. Everything you have is connected," Miller said. "You're fridge, your toaster — almost. And each one of these add to the complexity of this industry were somebody has to protect that from some hacker getting in." Kim Sharp is attending the first class by OpSec at the Skyline Club downtown. While her background is mostly in design, the concept of cybersecurity has peaked her interest. "Downloading programs or trying to exploit something, that's what I really like about the class is all that stuff," Sharp said. "What are ways you can find insecurities in a company because it helps protect the company as well. I think it would be good to learn how to prevent attacks." Sharp says the skills she is learning in this basic course could help protect her from hackers and she could also use those skills in the workplace to help her company. Sharp also said she considers herself to have basic or intermediate computer skills and that this basic course could be for anyone. Miller says this field could be great for individuals with military backgrounds and the training could help veterans like himself. By completing the course tracks, students through OpSec have the opportunity to earn certificates of completion. The students gain practical and hands-on knowledge to take the industry standardized tests for certification. The new courses will prepare students for the CompTIA Security+ and Network+ exams. These exams certify individuals on cyber security basics like application security, network architecture, network protocols, threat analysis and response, risk and mitigation, and identity and access management. June 3-28: Security Analyst Bootcamp - OpSecCSI will offer a different class each week in June. Someone can earn our Security Analyst certification by completing all 4 track courses (one each week), or sign up for an individual week long class and complete the rest at a later date.